Offaly select Killina Presentation SS were one of the big success stories of 2018 having tasted National Cup glory at Minor ‘B’ level for the new kids on the block. Roll on another twelve months and the Tullamore squad are continuing winning ways in the Junior ‘B’ grade with a hat-trick of goals against Munster Champions, St. Peter’s CS, Passage West in Cahir Park yesterday afternoon. 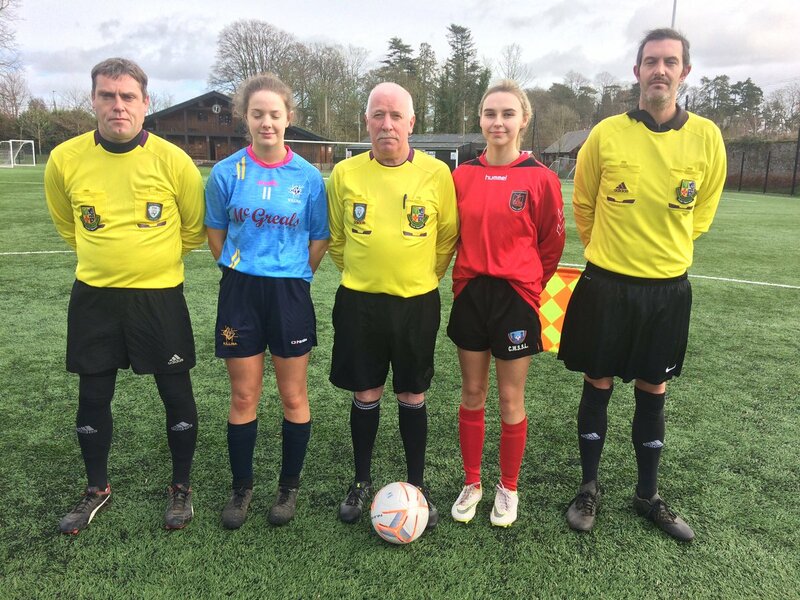 Their path to the final wasn’t easy as Loughlinstown aces St. Laurence College held them to a scoreless draw in the provincial decider however they came out 3-2 winners on the dreaded penalty shoot-out to bring them to the national stage. 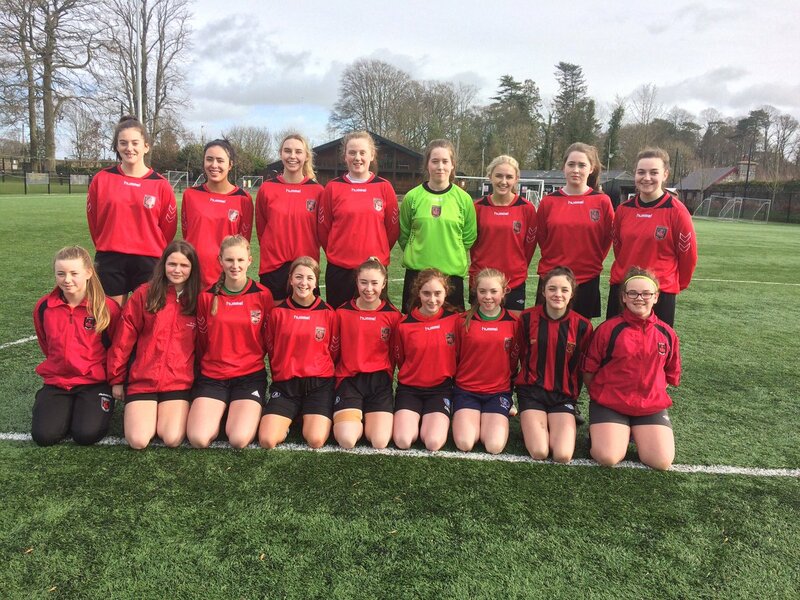 St. Peter’s CS continued their rivalry with Coláiste Mhuire, Askeaton in their Munster clash as they enjoyed a rewarding 5-3 victory with a hat-trick from Winnie Parata last month to secure another outing for the Cork girls. This contest was an edgy affair with some brilliant physical battles in midfield. Sarah Doyle broke the deadlock with 22 minutes played scoring a fabulous individual effort to settle the Leinster starlets. Passage West head-hunter Winnie Parata tested Ciara Glackin with a high ball two minutes later but the number one confidently collected under pressure from Laura Finley. Becky Watkins also had a guilt edged chance to convert but again Irwin did enough to see the ball trickle past the post. With Tullamore dominating much of the possession in the first half, it was only a one goal lead heading into the break. Take II in the second period as Captain Watkins could have doubled their goal tally in seconds of the restart as she was one on one with Irwin but the young Tullamore target woman saw her opportunity squandered when the ball went wide of the near post. Ava Dolan was next up but she was also denied by some wonderful heroics from Irwin between the posts as well as some great defending by Aine Higgins and Sinead O’Flynn. Sarah Doyle and Megan Hoctor Daly were both left frustrated by Irwin’s master class while Laura Finley came extremely close to equalising for St. Peter’s just before the hour mark. The turning point in this fixture came two minutes later when Becky Watkins served the killer blow with a wonderfully worked agreement with Dolan to set herself up perfectly to finally beat the hardworking Irwin. Megan Hoctor Daly put the game out of reach for the Cork side when she scored five minutes from time to make it 3-0 without reply. The Offaly sensations will challenge St. Clare’s Comprehensive School from Manorhamilton in this season’s Cup Final. 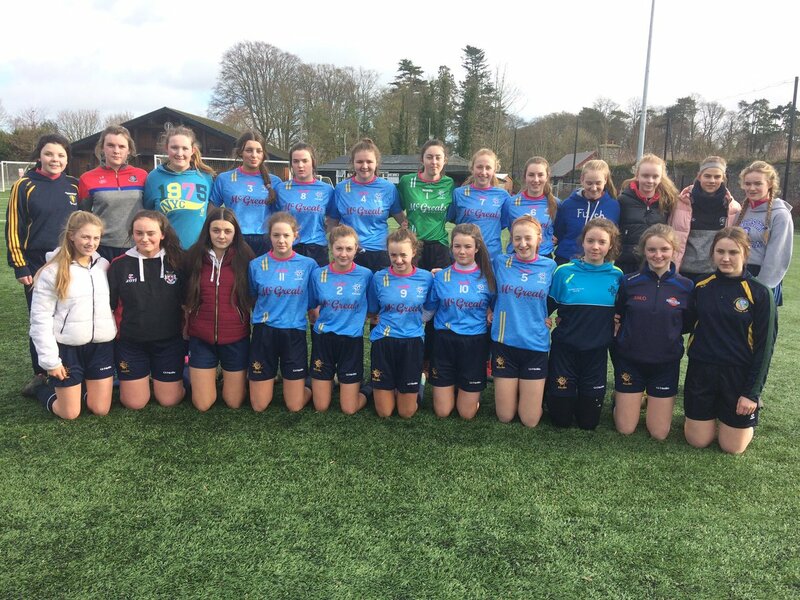 The Leitrim ladies put four past Coláiste Ailigh, Leitir Ceanainn earlier in the week to advance as the tie finished 4-1. Niamh Gallagher’s side will be one to watch as they defeated the Connacht and National Cup Champions St. Patrick’s College, Lacken Cross enroute to the Nationals, with Schools’ International Muireann Devaney one of their key players in the team’s success. The Cup Final will be scheduled for Wednesday, February 27 with a 1 o’clock kick off time, venue to be confirmed.